Welcome to the official online home of New Haven Dentist! For those new patients visiting this site for the first time, we welcome you to explore our site to find out more about our amazing New Haven dental team, our top-of-the-line office and treatment options we offer. For our returning patients, thank you for visiting again and always trust us with your oral health care! Our New Haven CT dental team offers a variety of general, restorative and cosmetic dental services designed to meet the individualized needs of the entire family. Our goal is to assist each of our patients in achieving and maintaining long term dental health and an attractive smile. Part of our commitment to serving our New Haven CT patients includes providing information that helps them to make more informed decisions about their oral health needs and the dental treatments they are receiving. 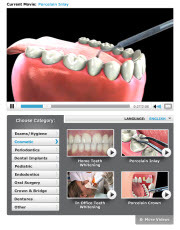 We encourage you to visit our dental videos page which contains a library of videos related to the dental procedures and treatment options we offer. We genuinely hope this site is helpful to you in learning more about our New Haven, CT dental practice, dental conditions and treatments, dental recommendations, payments & insurance and more. Please browse through our website and be sure to contact us @ (203) 859-5239 if you have any questions or would like to schedule an appointment. You may also use our online appointment request form to schedule your appointment. New Haven Dentists at Horizon Dental Group are dedicated to excellence in General, Family dentistry such as Cleaning, Exams, Teeth Whitening, Veneers, Crowns, Fluoride, Emergency Dental Care and more. We are looking forward to your visit to our New Haven, Connecticut Dental Office.